Falling prey to the anchoring effect will allow people to manipulate you easily. What the anchoring effect is. 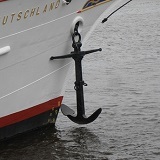 The anchoring effect is said to occur when people consider a particular value for an unknown quantity before estimating that quantity. For example, the anchoring effect is the reason why the same house will appear more valuable if its listing price is high rather than low. It is also seen in bazaar negotiations, when an item’s listed price is extremely high, but the stall-owner allows you to talk him down to a lower price—but the lower price is still higher than what the item is worth! Focus your attention on the minimal offer that the opponent would accept. You can also focus your attention on the costs to the opponent of failing to reach an agreement. This will help you minimize the anchoring effect.